(W/A) Various (CA) Alex Ross. CIVIL WAR II rocks the All-New, All-Different Avengers! Has Vision chosen the right side in the conflict? He certainly thinks so, and his resolve will take him on a manhunt through time to stop one of Earths greatest evils! The all-new Wasp finds her loyalties torn by the war and seeks guidance in the most unexpected place! And in her short time wielding the hammer Mjolnir, Thor has witnessed cosmic chaos but how will her human half process the consequences of this latest struggle? Plus: Youve longed for it, youve begged for it now, because you demanded it, youre going to get it! No Avenger will be safe from...internet fan fiction! View Ms. Marvels all-new teammates through her wide eyes and those of an awesome assemblage of all-star creative talents! 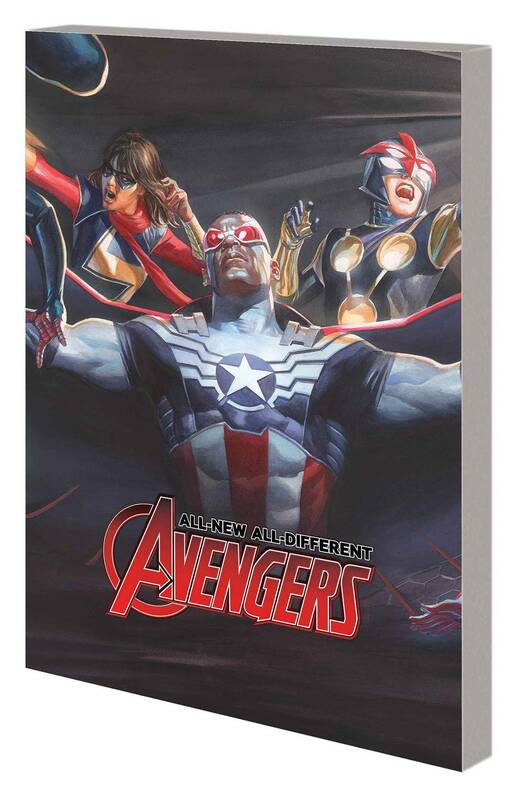 Collecting ALL-NEW, ALL-DIFFERENT AVENGERS #13-15 and ANNUAL #1.. Rated T+.